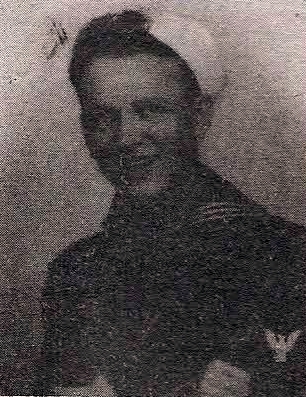 RM 3/c Harry D. McNeeley, Jr., son of Mr. and Mrs. H. D. McNeely, Graham graduate of Graham High. Entered Coast Guard, 1944, trained in Md., N. J., Fla. and N. Y. Served on USS Falgout in Panama Canal Zone. Awarded ATO and Victory Medal. Discharged in 1946.